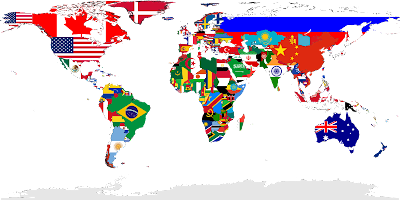 A country is a region legally identified as a distinct entity in political geography and each countries are different from each other. Some countries are so famous that it is even known to a common man but you really have to be a geography freak to know about these 10 countries from the list. It’s irrelevant to us how recognized they areas countries but they surely look at themselves like that. Of course, a special thanks to Wikipedia for the article’s research. Now let's take a closer look at these 10 countries one by one. Vanuatu, 90% of Vanuatu people household and consume fish, and 80% are living in rural, isolated villages with their own gardens and food supplies. Scuba diving is a very popular tourist attraction here. 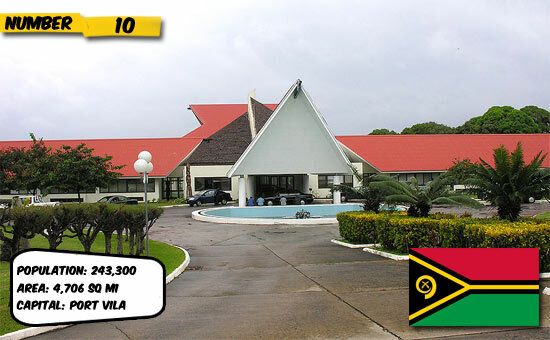 Tsunamis are not a rare thing in Vanuatu, and earthquakes have a negative affect on the country’s economy. 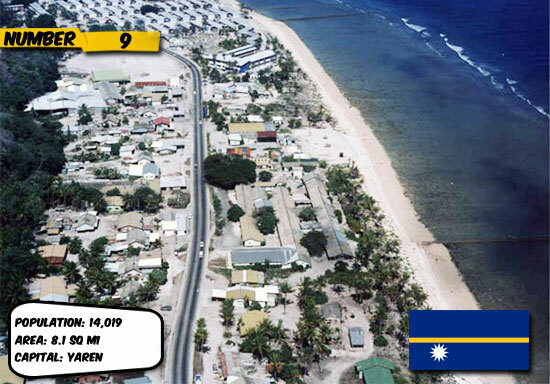 Nauru, a former German Empire colony is alsoknown as Pleasant Island of the South Pacific. The people of Nauru are collecting rain water during monsoon rains between November and February because they are very limited on natural fresh water. The most popular sport in this country is Australian rules football, and they have football league with seven teams. Tuvalu, is a constitutional monarchy with Queen Elizabeth II as head of state. They don’t have regular military forces, and spend no money on defense. 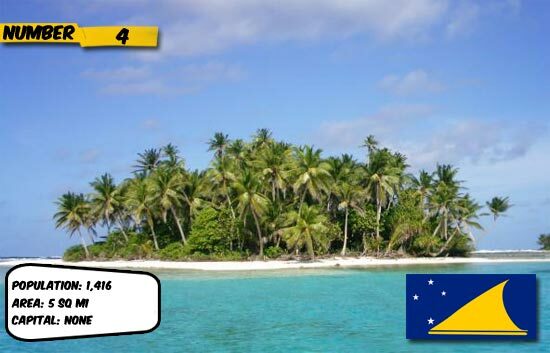 Tuvalu is the 4th smallest country in the world. 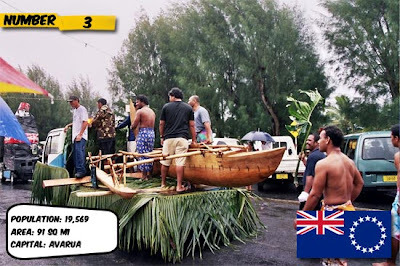 The first inhabitants of the country were Polynesian people. 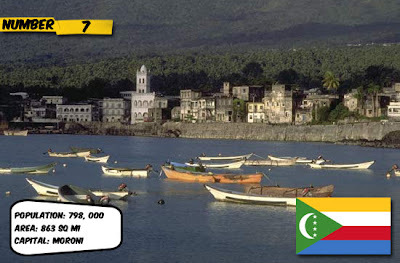 Comoros is African island nation in the Indian Ocean between Mozambique and Madagascar. The island is an old French colony, and today there is about 300 000 Comorians living in France. 98% of the population is Islamic. Guernsey is under the responsibility of the United Kingdom but they don’t count as a part of the U.K, as well as the European Union. 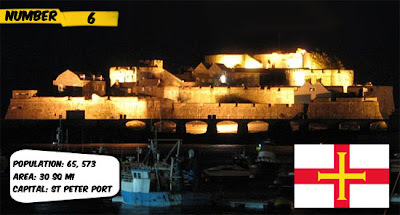 Guernsey is located in the English Channel on the coast of Normandy. They have complete autonomy over internal affairs, and they are discussing total independence from the British Crown. 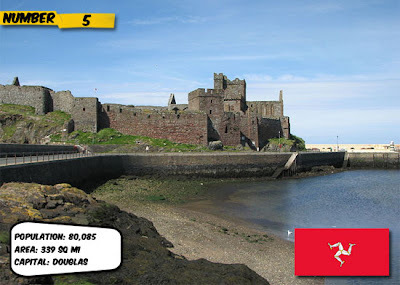 Isle of Man, also known as Mann, is self-governing British Crown Dependency, with a location in the Irish Sea between the islands of Great Britain and Ireland. They are not a part of the European Union. Isle of Man economy is based on offshore banking and tourism. The island has been inhabited since before 6500 BC. 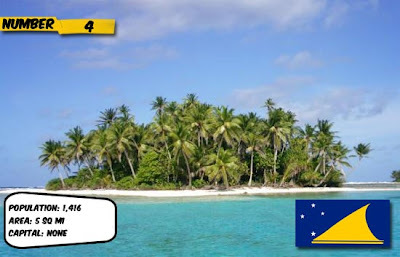 Tokelau, is a non-self-governing territory of New Zealand that consists of three islands. The name Tokelau is a Polynesian word that means “north wind”. The island has the smallest economy of any country in the world that makes them almost completely dependent on subsidies from New Zealand. 96% of the population is Christians and 57% of these are women. Cook Islands, are a self-governing parliamentary democracy. With over 90 000 tourists per year, tourism is their far best industry and their leading element of the island economy, far ahead of offshore banking, marine, pearls and fruit exports. 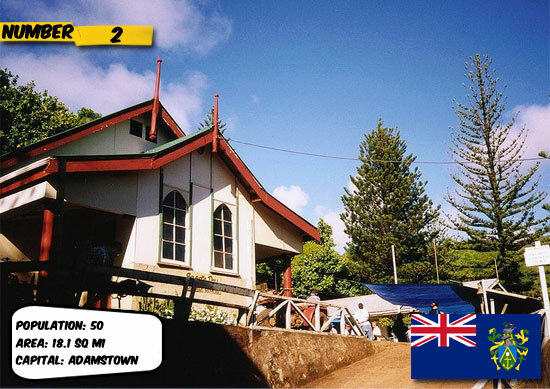 Cook Islands got named by the British navigator Captain James Cook when he arrived the islands in 1773. Pitcairn Islands, officially named the Pitcairn, Henderson, Ducie and Oeno Islands, are a group of four volcanic islands that are formerly a British colony, the last remaining in the Pacific. The population’s language is a mix of English and Tahitian. In recent years the church has been closed because only 8 islanders have been visiting it regularly. There is only one Café and Bar on the island, and the Government Store is selling alcohol and cigarettes. They used to have moral strict laws which prohibited dancing, smoking and consummation of alcohol. Nagorno-Karabakh Republic is the independent republic located between Armenia and Azerbaijan. Nagorno Karabakh is one of the most heavily mined regions of the former Soviet Union because of the 1991-1994 Nagorno-Karabakh War. They are still not recognized by any state, including Armenia. 95% of the population is Armenian, and the rest are Greeks and Kurds. 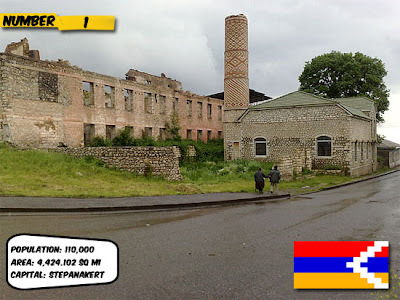 Their tourism are basically directed to Armenians that live in Western countries.